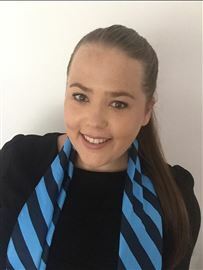 Jodi commenced her career with Harcourts wanting a new challenge after a 10 year career in the marketing industry. At the top of a successful career with Hilton Hotels Corporation, a change in pace came with a growing family. With a passion for real estate always being a part of her life, Jodi launched her real estate career with enthusiasm and focus. Experience of both buying and selling residential property for the last 30 years, has established Jodi as a professional in the business and she knows the importance of a trusting relationship with her clients. 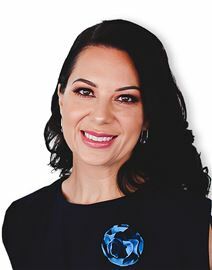 Her honesty and integrity goes far beyond the reaches of the marketing of her clients homes, and truly results in the Harcourts legacy of ´Clients for Life´. Jodi established Harcourts Mudgeeraba in 2006 and this set the standard for professionalism and service in the Gold Coast Hinterland. With her professionalism, honesty,excellence in service and enthusiasm,the process of selling your home can be a positive experience. Jodi believes that trust is the foundation for establishing long-term relationships with all of her clients. Meeting their needs, keeping them fully informed and delivering superior service has resulted in her achieving top sales performances. Jodi looks forward to working with you to achieve the best possible outcome on your next real estate venture. Lyn Newcomb is an outgoing, gregarious, warm-hearted, healthy, energetic, serious-minded, determined business woman with a winning smile and infectious laugh. I am one of the two directors at Harcourts Mudgeeraba. I have lived in Mudgeeraba for 23 years and really enjoy my lifestyle in this special place in a very special and proud community. I share my home with my husband David and our boy dog-child “Charlie”. I became a licensed real estate agent in 2005 shortly before David and I opened our first Harcourts office. I love working under the Harcourts brand. We value our clients and the culture is amazing. Harcourts is a vehicle for me to create success for my clients. My clients trust me and I know I can confidently provide them with a world class real estate experience. I am a high touch, high care agent with a positive outlook and happy personality. I am always grateful for business opportunities and my competitive instinct helps to get the job done. I have many precious friends in the 4213 community and my grandchildren attend Mudgeeraba State School. I am inspired by my loving close family and by the unwavering commitment, perseverance, discipline and courage of my awesome Team. We are local and we are here when you need us. Col Kidson started in Real Estate in 1972 in Melbourne. Prior to joining Harcourts Mudgeeraba, he has built a reputation of integrity and enthusiasm for both his buyers and sellers. Col was born and educated in the suburbs of Melbourne and has been involved in Sales and Marketing all his working life. He has owned and operated both small and large businesses. Col and his family moved to the Gold Coast some 25 years ago, and he now lives in the Mudgeeraba Hinterland. Col enjoys the odd game of golf and spending time with his family, including his grand children. Col acknowledges that Harcourts Mudgeeraba has a strong team of professionals to provide the support and guidance to all of his clients and is looking forward to helping you! You can contact Col any time on his mobile 0401 155 511. David has lived on the Gold Coast since 1959 and in Mudgeeraba since 1981. He is an experienced corporate accountant and together with his wife and business partner Lyn, has successfully owned and operated Harcourts businesses since 2005. Sit with him awhile and he will freely relate his stories of the changing landscape and historical business trends on the Gold Coast. His community involvement has been and continues to be exhaustive. He has given his time to many groups and clubs on the Coast and within the Mudgeeraba community. He is a generous warm hearted and dedicated leader, focused always on achieving the best net result for his clients. He is a passionate sportsman and his love of Rugby League is immeasurable. He fully supports and rides the roller coaster with the Gold Coast Titans. Nicole Carter is an outstanding award-winning Gold Coast Real Estate executive with an unparalleled work ethic and a drive to succeed. She has proven herself to have an impeccable track record when it comes to representing properties in Reedy Creek and surrounds. Nicole’s first-hand experience constructing her own home in The Observatory has imbued her with a wealth of knowledge which inspires confidence and garners respect. ‘I'm a local who has invested in the area. As a mother, business owner and professional agent, I understand what buyers are looking for and what it takes to present your home to the market’. Ranked inside the top 30 as a Sales Associate in the international space with REMAX, her exceptional marketing prowess, communication and incredible negotiation skills paired with her ability to work with the most discerning customers, has enabled Nicole to craft a loyal client base. Expert at providing discreet services to match customer needs, Nicole is a trusted advisor and negotiator whose understanding of current trends and unique vision distinguishes her from her competitors. ‘I am very proud to be ranked so highly in a network that continues to be a leader in market share, agent productivity and international expansion’. Raising the bar and setting a new industry standard, her astonishing rise, in nine short years is testament to her professional attitude and interpersonal savvy. Nicole believes that selecting the right real estate agent means shopping for the right person, not the right price. Client trust, integrity and professional performance are the pillars of her success. Combining these core values with her extensive sales and marketing experience in the field of prestige property magazines, Nicole offers a complete suite of services unrivalled by any other agent in the area. A local resident of Mudgeeraba for many years Kay has worked in property management for over 15 years in our local community. Her knowledge of both legislation and property management systems is extensive and as a result Kay oversees our diligent property management team. Kay is a team member and strives to have an exceptional relationship with all of our clients. Tracey began her real estate career at Harcourts Mudgeeraba over 10 years ago as a Sales Consultant in 2006. A long history of involvement in the real estate industry and associated industries ensures Tracey's efficient and prompt attention to clients' needs and queries. Tracey has worked in both real estate sales and property management positions over a number of years and enhances the team with excellent customer and client care in our front office reception. Tracey has lived locally in Bonogin for over 7 years and loves the Mudgeeraba Village community. With experience in all areas of this industry plus a great sense of humour, Tracey is passionate to provide exceptional client service to all our clients who walk through our door. Great Acreage Close to Town! A Cutie and a Beautie! One BRAND NEW home left! Huge House! Bring the Kids! Spoil the One's You Love!